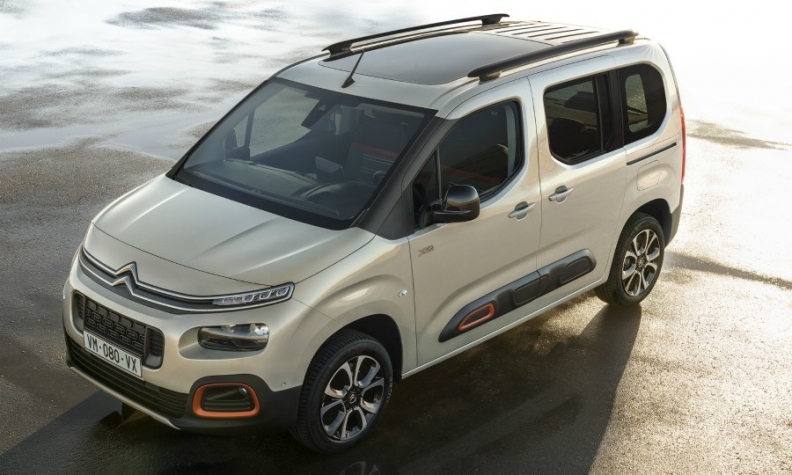 PARIS -- PSA Group aims to boost its position in Europe's lucrative light van sector by launching three new models for its Peugeot, Citroen and Opel/Vauxhall brands. The vans, which will replace the Peugeot Partner, Citroen Berlingo and Opel/Vauxhall Combo, will "set the benchmark" in the compact van segment in terms of efficiency, maneuverability, comfort and safety, PSA said in a statement on Tuesday. PSA said it has adapted its EMP2 platform, which underpins the automaker's compact and midsize models, for the vans, which means they will accommodate the latest generation of powertrains and driver assistance equipment. The vans will be available as passenger vehicles with five- and seven‑seat versions and as commercial panel vans. CEO Carlos Tavares' strategy for sustainable profitability calls for PSA to improve its presence in Europe's light commercial vehicle sector, which is a growing market that experts say has profit margins of about 9 percent. PSA will build the vans at its plants in Vigo, Spain, and Mangualde, Portugal. The company said each factory would add a production team to meet anticipated demand. The Partner and Berlingo are currently built in Mangualde and Vigo; the current Combo was built jointly with Fiat Chrysler in Bursa, Turkey. PSA said a single development program for the new vans and consolidated production was aimed at increasing the efficiency of investments. "On a single platform, we are presenting very distinct models that perfectly embody the DNA of each of our brands," Olivier Bourges, PSA executive vice president for programs and strategy, said in the release. Production will begin shortly, with the first orders taken in May, said Philippe Narbeberu, PSA senior vice president of the company's light-commercial vehicle business unit. Deliveries to customers will begin in September, he said. 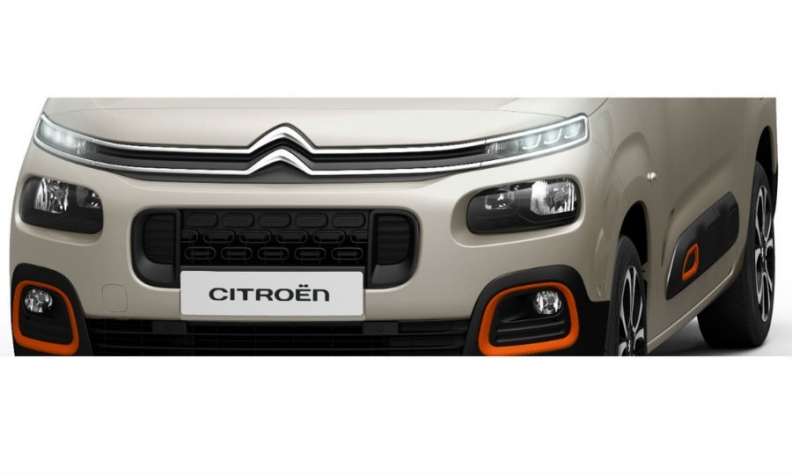 Citroen's new compact van gets a new front end, shown here in a PSA teaser picture. According to JATO Dynamics, the Berlingo ranks second in Europe's car-derived van segment with sales of 37,792 last year, trailing segment leader Volkswagen Caddy at 57,020. The Partner was fourth, at 27,091. The Opel/Vauxhall Combo sold 2,233. Overall sales in the segment were 283,830, an increase of 11 percent over 2016, JATO said. PSA did not provide pictures or technical data of the new vans, saying that each brand would introduce its own version "in the days ahead." It described the styling as "balanced and dynamic" with high and short hoods. Peugeot, Citroen and Opel/Vauxhall versions will be differentiated by an interior that "fits into the universe of its brand," PSA said. The Peugeot and Citroen vans are expected to be displayed at the Geneva show in early March. Opel is not participating in the show. PSA also expects the new vans to draw buyers of its two subcompact vans, the Peugeot Bipper and Citroen Nemo, which went out of production in December 2017. The company has no plans to replace the subcompact vans, a spokesman said.